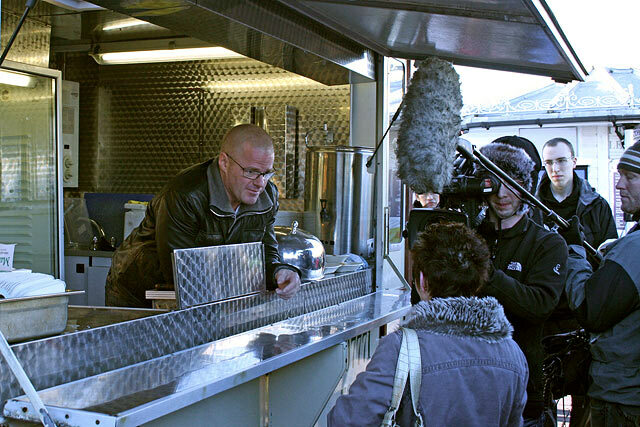 I was in the office after taking a call from Hugh Fearnley-Whittingstall's River Cottage event organiser when Polly called from Optomen TV asking if we would be interested in supplying services for Heston's Fishy Feast. 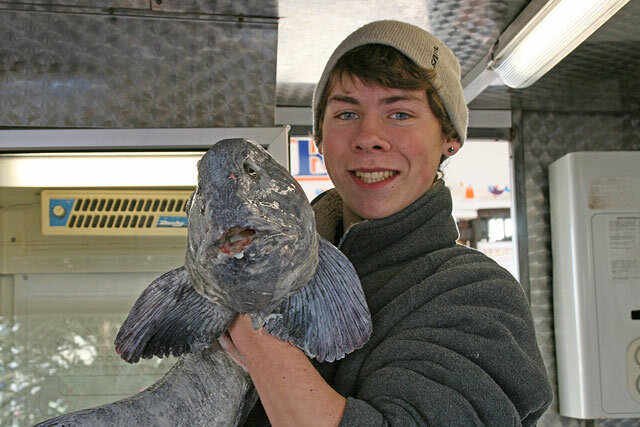 Polly said that she had just got back from Iceland with Heston, they were going to cook a Wolffish on Brighton Pier. 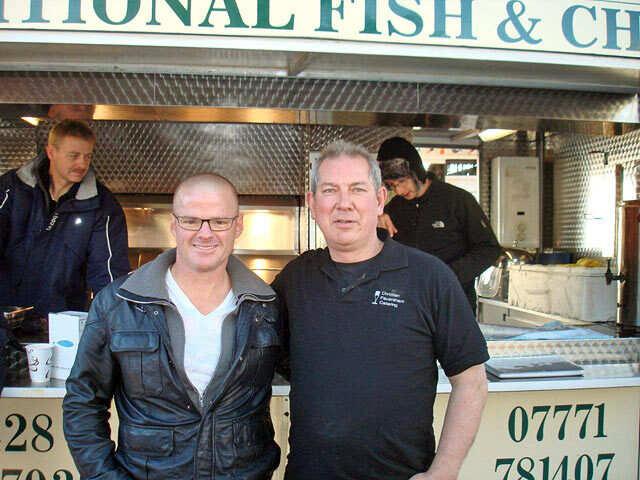 The Fishy Feast needed a reliable and professional fish and chip provider who could work with Heston and the crew to make the Channel 4 TV program Heston's Fishy Feast. Initially I thought it was a wind up especially after Polly said a Wolffish was effectively a Piranha. We gave Optomen TV a few options. 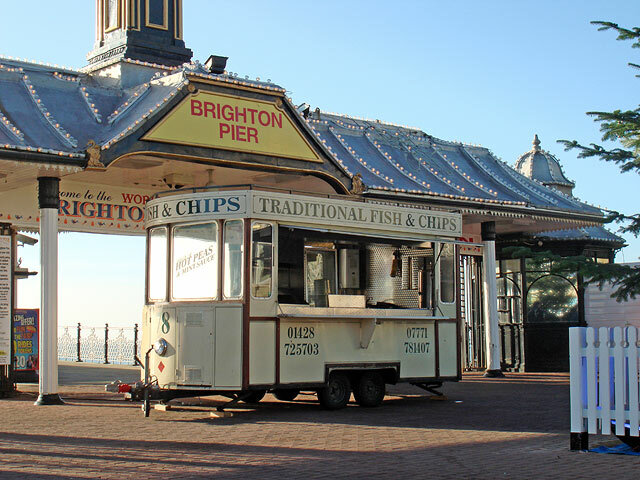 They went for the Traditional Fish & Chip Tram which fitted nicely with the Brighton Pier backdrop. I called my son Harry and asked him if he fancied coming on Heston's job. 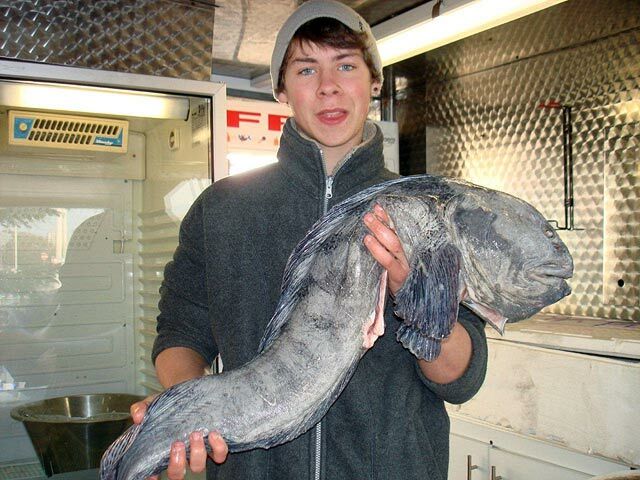 Harry was up for it and so was Steve our head chef. Steve knows all the intricate details and workings of the Old Traditional Train Tram, she is very complex, if you don't treat her with respect she won’t perform! Harry, Steve and I set off at 06.00hrs for a slow drive down to Brighton Pier. We had to wash all the salt and road grime off the Tram and the towing van when we got there. We arrived in plenty of time setting about washing and leathering down the van and fish and chip Tram. 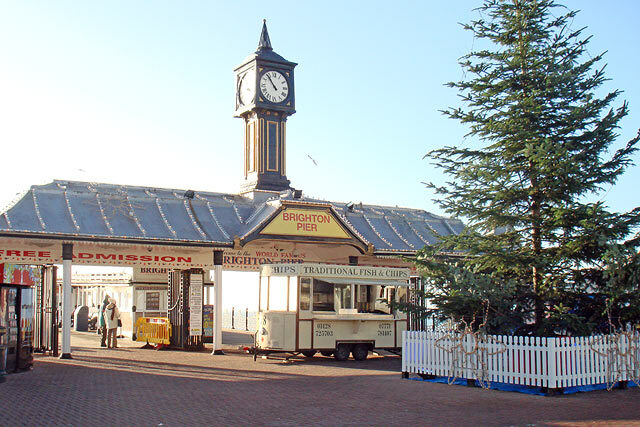 The guys running the pier were very helpful and supplied us with hot drinks, water. 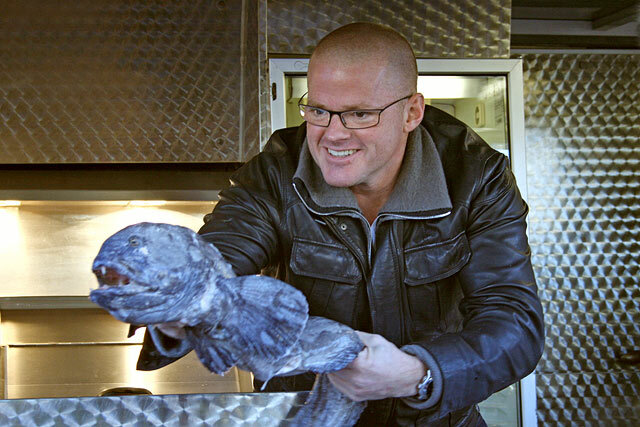 Heston Blumenthal arrived and checked out the Old Fish and Chip Tram. Steve introduced himself and lit the fish range ready for the Wolffish. I've seen Heston Blumental on TV and wondered if he was on the same wavelength as the TV chefs we have worked with, namely Brian Turner, James Martin and Hugh Fearnley-Whittingstall. Those guys were all really nice, just the same off screen as on. I asked Heston how he liked his batter, he said that we were the experts just how we make it, light and airy. We whisked up some batter whilst Harry checked over the generator and kept an eye on Tram. Heston interacted well with the public laughing and joking with a couple of ladies in the audience. 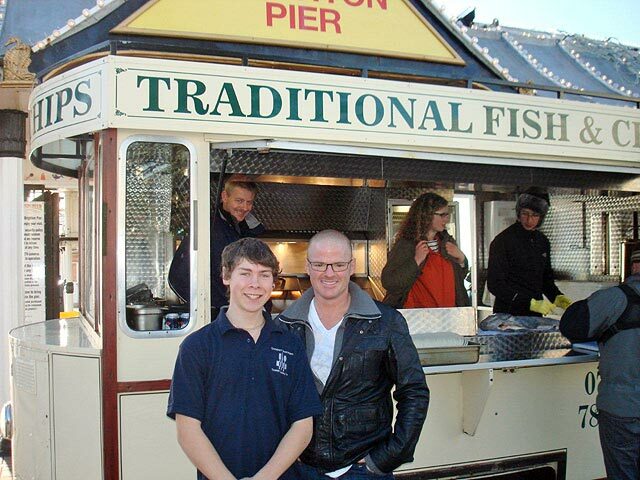 After the filming in the Fish and Chip Tram Polly asked if we wanted to have supper with Heston and the film crew. You could have knocked me down with a feather !! We went to the restaurant on the Pier and had Fish, Chips and Mushy Peas. 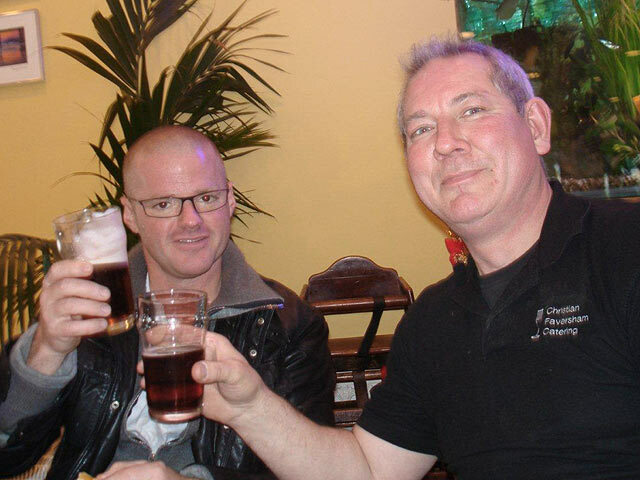 We ordered some beer and said cheers for a good day out.. 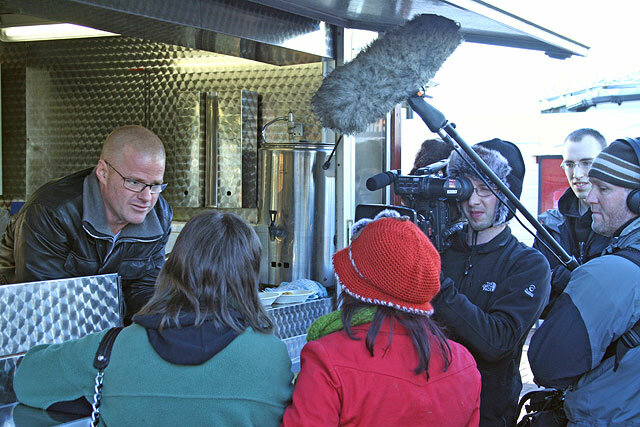 Thanks to Polly, the film crew, and Heston Blumenthal for a great day out.